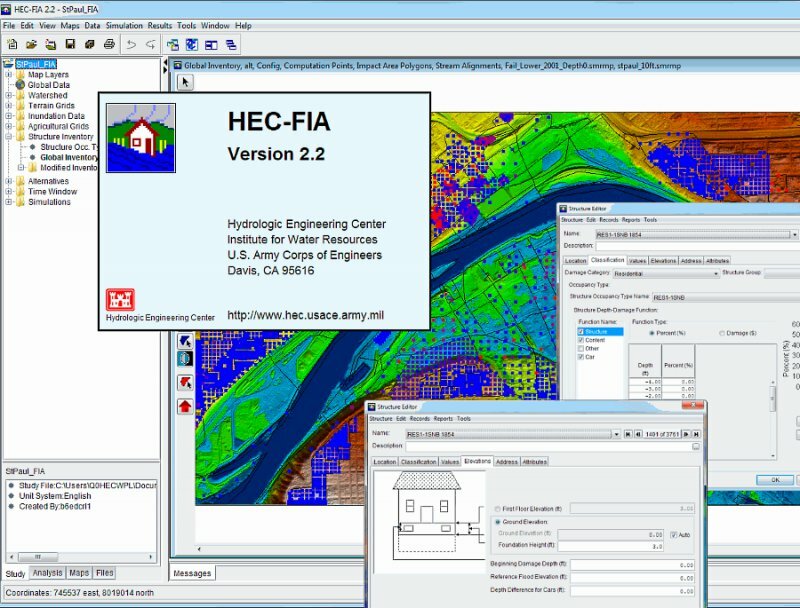 The HEC-FIA (Flood Impact Analysis) software package analyzes the consequences from a flood event. It calculates damages to structures and contents, losses to agriculture, and estimates the potential for life loss. HEC-FIA can also assist Corps Planning studies by looking at single events deterministically to support the OSE account with Life Loss and population at risk, or through helping to determine the impacts to agriculture for typical events for the study region. 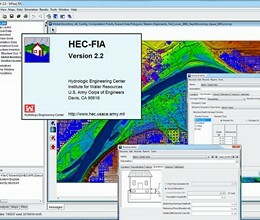 It should be noted that HEC-FIA can only be used to compute annual benefits across the full range of potential flood events, and in compliance with Corps policies regarding risk and uncertainty analysis, when used in conjunction with programs like HEC-WAT with the FRA compute option, DAM-RAE, or @Risk. HEC-FIA is typically used to perform dam and levee failure scenario analysis to support consequence estimates to determine the risk posed or prevented by Corps Projects. * HEC-FIA download link provides gnu general public license version of the software. HEC-FIA has been rated 5.0 out of 5 points. A total of 1 votes cast and 0 users reviewed the software.